Vanessa Trump, nee Haydon, married Donald Jr in November 2005. The couple, both 40, have five children between the ages of three and 10. 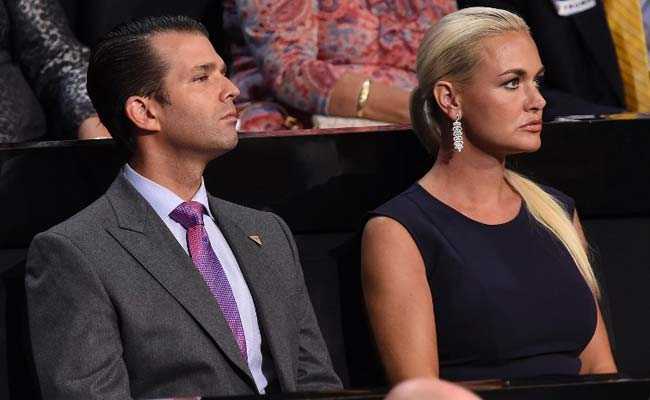 The wife of Donald Trump Jr, the US president's eldest son, filed for divorce on Thursday in New York, according to several American media reports. According to multiple media reports, the former model filed for an uncontested divorce, meaning proceedings will not include a dispute over custody and assets. Queried by AFP for confirmation, the Trump Organization did not immediately respond. Several weeks ago, The New York Post tabloid had reported the couple had marital woes, citing Donald Jr's frequent travel and, like his father, a penchant for social media site Twitter. In mid-February, his wife, who normally shies from media attention, found herself in the headlines after she opened a letter sent to her husband that contained a mysterious white powder. The powder was harmless but Vanessa Trump was hospitalized as a preventative measure, along with her mother, who was there when she opened the envelope. On March 1, a 24-year-old Massachusetts man was arrested and charged with sending a threatening message and powder.